All ADORA TRAILS PARCEL 4 homes currently listed for sale in Gilbert as of 04/19/2019 are shown below. You can change the search criteria at any time by pressing the 'Change Search' button below. 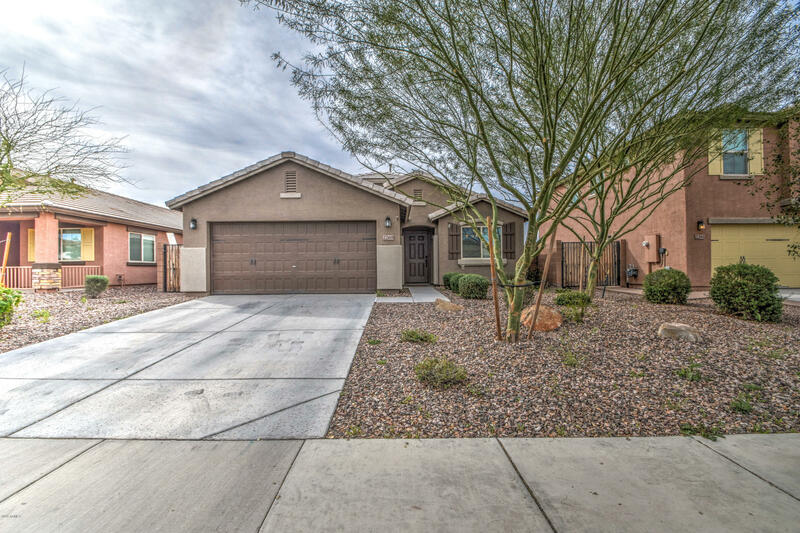 "You'll love this awesome 3 bedroom & 2 bath home with 1734 sqft & a Den! Beautiful tile flooring welcomes you into the great room w/vaulted ceilings. The kitchen has lovely dark maple cabinetry, granite countertops, stainless appliances, gas range, pantry, breakfast bar & dining area open to the kitchen. The large master retreat has a private bath featuring dual sink vanity, separate tub & shower, walk-in closet & additional shelf space! Tiled hallway leads you to secondary bedrooms, guest bath "